There are several natural hazards that can damage roof shingles and your roof, which can in turn lead to extensive damage to your home. There are some steps that you can take to protect your roof and home from these potential hazards. 1. The sun will eventually damage asphalt shingles. 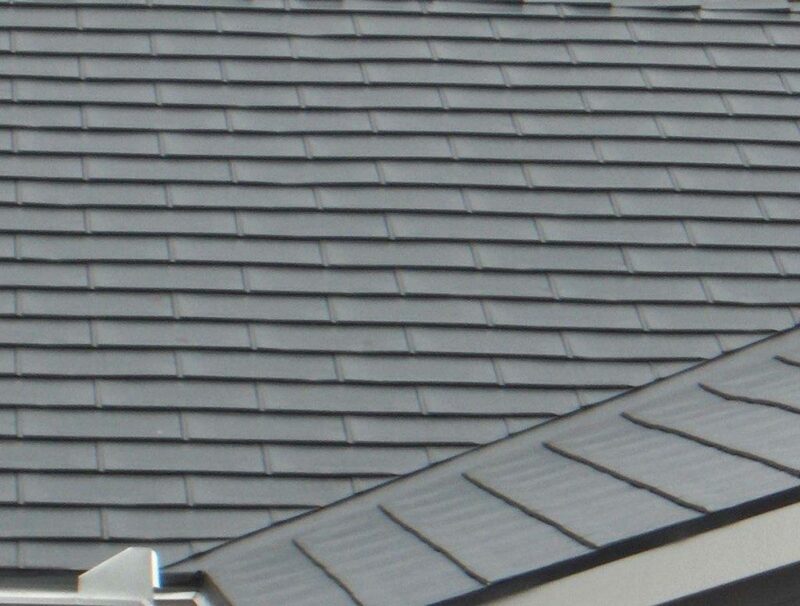 These shingles are made with granules to protect them from the sun’s rays. These granules will wear off with time, which is a good signal that your shingles need to be replaced. Limiting the amount of time that people are walking on your roof will help to preserve the life of your shingles by preventing early wear of the granules. 2. Heavy snow may result in damage to the structure of your roof. If your home has a flat or low-slope roof, then you may need to remove snow from your roof whenever you have a heavy snowfall. If you live in an area where heavy snowfall is common, make sure that you know the capacity of your roof deck to hold the weight of the snow. 3. Algae and moss can be a problem for asphalt shingles, especially in moist climates. Algae and moss can be removed by applying a bleach and water mixture to the roof, but may return in the future if conditions persist that encourage their growth. Removing trees that cast shade on the roof can prevent algae and moss growth by allowing the sun to keep the roof dry. If you live in an area where algae or moss growth is common, you may choose to invest in shingles that have an algae-resistant coating. 4. Trees near the house can cause damage to the roof in several ways. Leaves or needles that accumulate on rooftops can cause algae and moss growth, and can lead to areas of water-accumulation on the roof. Leaves can also plug gutters, which can cause water to enter the home’s foundation instead of running safely away from the home. Trees can also cause serious damage to the roof if a branch falls onto the roof during a storm or period of high wind. Trimming branches or removing trees that grow too near the house can help homeowners to avoid these problems. 5. Storms, hail and high winds can cause damage to roofs by removing shingles and by blowing debris onto rooftops. Check shingles before you install them to be sure that they will stand up to typical weather in your area. If you are expecting a major storm, be sure to put away loose items that may cause damage to the roof if they are blown around by high winds. Keeping trees trimmed of dead or dying branches may also help to prevent damage caused by storms.